The beautiful half check dog collar is one of our most popular collars, and rightly so. Coming with either a brass or nickel circle chain, this collar assentuates your dog’s neck and with a colour for everyone’s taste, you will be sure to find one that you will love. Please be sure to check our measuring instructions below. The beautiful half check dog collar also called the Martingale Collar, is one of our most popular collars, and rightly so. 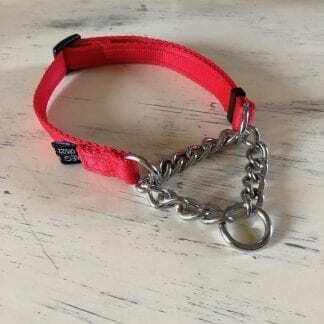 Coming with either a brass or nickel circle chain, this collar accentuates your dog’s neck and with a colour for everyone’s taste, you will be sure to find one that you will love. 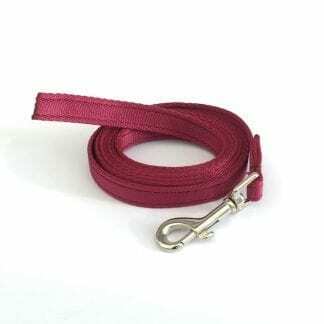 Many customers choose to match these martingale half check collars up with either a double up lead or our webbing lead. Don’t forget our 5-year guarantee and you can’t go wrong. If in doubt about measuring your dog’s neck and size choice then I’ll be happy to chat with you about it. This collar must be fitted correctly. 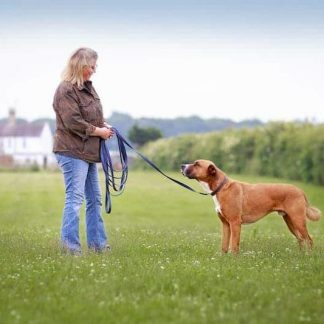 The size of the neck must correspond to the size of the collar with the O rings touching – the circle chain is not part of the dogs’ neck size. 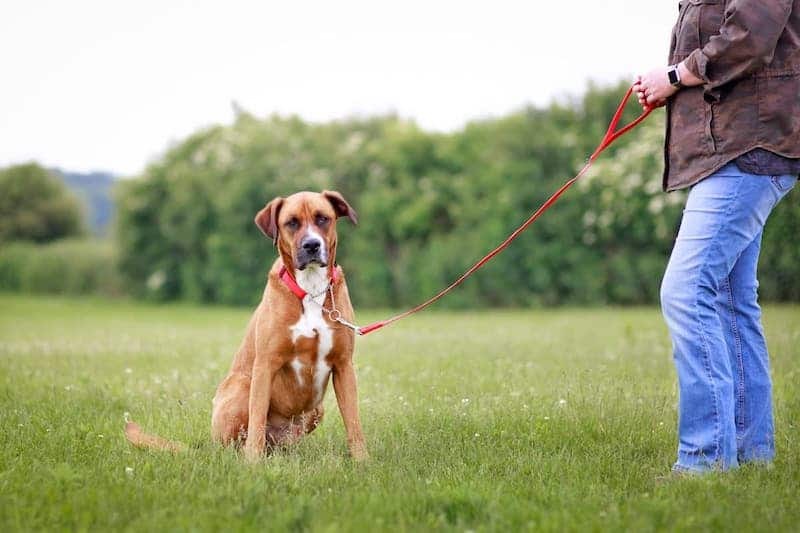 Take a measuring tape and measure the dog’s neck at the point where the collar will sit. This collar has a particular elegance about it. 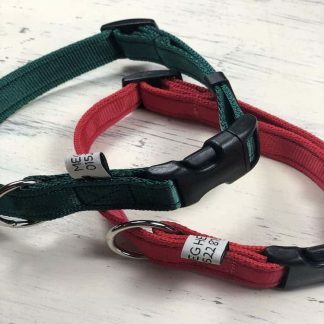 With a good choice of colour, matched with the nickel or brass martingale chains, these collars will guarantee to set your dogs’ style way above that of a standard dog collar. A personal favourite of mine is the bridle leather variety of martingale collar, the black or navy with brass or the red with nickel chain. For the martingale collar and half check collar, just measure your dog’s neck size and chose the size from the product list. 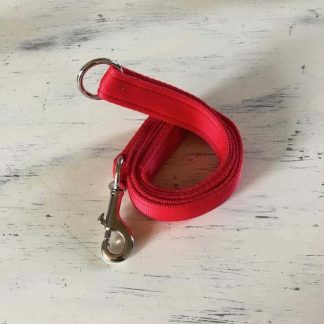 Example: Dogs neck size is 18 inches, chose 16-18 inch collar size. Don’t worry about the chain as we just need the actual neck size to make the collar. You may wash the martingale chain in soapy water but make sure they are dried thoroughly to prevent any further surface oxidisation. Should your dogs’ neck become black from the chain, then treat him to a bath. Half Check Dog Collar, shown with a brass circle chain. Great product, and very quick delivery from ordering my half check collar. Durable and smart. I would definitely buy another in the future. I am happy to give you my feedback on our recent order experience – see below. 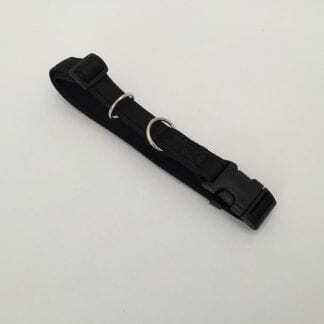 “The web site was clear and simple making the order process a breeze. Some of the elements on our order were none stock items, but a short email kept us informed. Three days later we were advised that our order was completed, and it arrived in the post 2 days later. Our Black Lab ‘Ruby’ looks very splendid in her new Burgundy collar & lead, and the brass fittings are of good quality, so should not rust due to her daily dip in the sea. Thank you, products is great and thanks for all your help with the delivery problems. 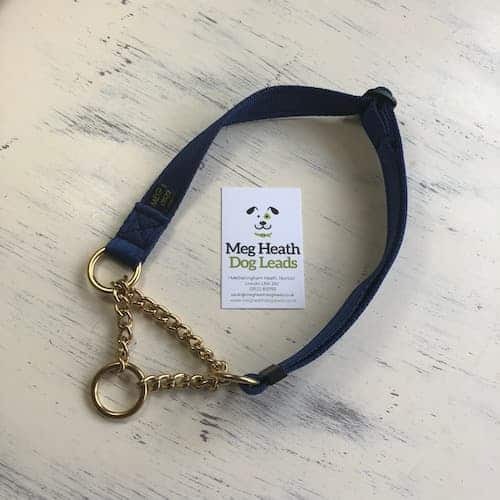 I was amazed when I contacted Meg Heath dog leads and got a very speedy reply saying yes to my query. I’d spent months searching for a half check collar, a head collar and a double ended police style training lead all in matching blue. I had finally found someone who not only said yes I can make all that for you, just let me have the measurements, but did it very quickly. To put the icing on the cake Eos, my Rottweiler, knew it was for her as soon as the parcel came through the door and insisted on trying it on! Clever dog! Only a couple of small adjustments were needed to ensure a snug fit. She now asks to have her blue kit on for her walk as she finds it so much more comfortable than her old kit that she often backed away from. From a human perspective I find it easy to put on and it feels lighter and more comfortable in use. All in all a win for Eos and a win for me. As an added bonus the head collar was half the price of another well known make. So very good value. I would highly recommend this equipment. WOW, that’s fast !! Thanks very much again. I shall recommend you to anyone looking for products in the future, I’ve bookmarked the site!